At long last, the Top 100 Grand Finale is here! 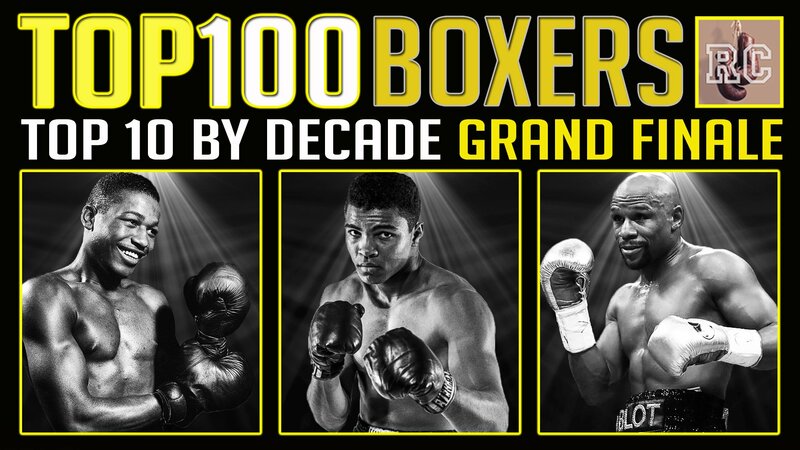 The finale episode of the Top 10 by Decade Ranking Experiment has all been building up to this moment where we count down the top 100 boxers under this scoring system. Trying to rank boxers across different eras is a difficult task, but that is what we have been trying to do here, and ranking boxers across different periods can also usually be a lot of fun, and hopefully that has been the case with these ongoing rankings experiments where we attempt to rank the best boxers from each weight class across different decades. In Part 1 of the new “Top 10 by Decade” series, we began the ranking experioment by exploring the heavyweight division with a simple formula designed to try and objectively identify the Top 10 heavyweights from each decade. Then we we worked our way south through all of the different weight classes. Here in the Grand Finale, we combine all of the points of every boxer who ever accumulated points under this scoring system, where we will show statistics based on historical rankings from Ring Magazine. You will see where each and every point is coming from for all boxers who made it on the top 100 under the scoring criteria. The main idea here with these ranking experiments has been to try and eliminate personal bias and individual preferences, while also excluding all head-to-head considerations, both real and hypothetical. It is more a measurement of tracking the boxers who were perceived as having the most prolonged success in a given weight class from specific decades. This edition of Rummy’s Corner is the seventeenth episode in a series of “Top 10 by Decade” videos in this ranking experiment, and we will discuss many of the greatest boxers to have laced up the gloves since Ring Magazine began doing rankings, including Sugar Ray Leonard, Muhammad Ali, Floyd Mayweather, Roberto Duran, Pernell Whitaker, Manny Pacquiao, Julio Cesar Chavez, Ezzard Charles, Henry Armstrong, Willie Pep, Lennox Lewis, and Wladimir Klitschko just to name a few of the guys who qualified. How did they rank? Please watch and enjoy the video to find out!